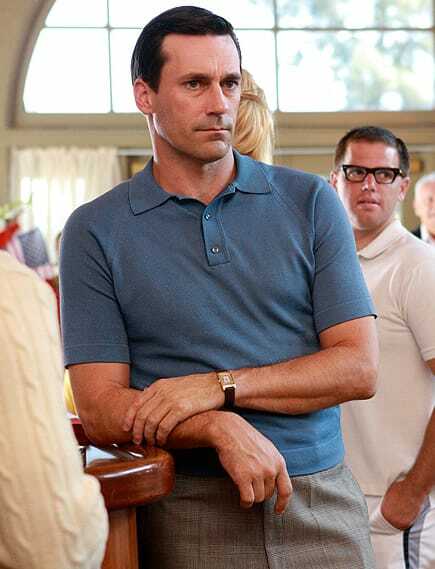 At the Memorial Day event at the local country club, the Don Draper shows up in an outfit that's perfect for kicking off the summer. A spread collar, dusty blue polo with glen plaid pants and a simple watch is all he needs to stunt on the rest of the country club set. This outfit isn't loud, and confidently states "wealth" rather than screaming it.